I grew up in my parents pottery studio in the mountains of North Carolina. 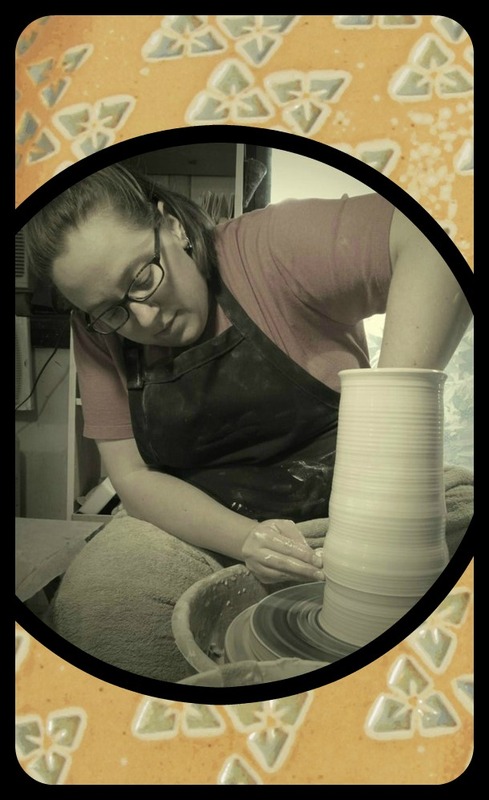 I finished my Masters of Fine Arts in Ceramics at the University of North Texas May 2014 and am currently back in North Carolina and making pots at Riverwood Pottery in Dillsboro NC. Soda firing is a technique where during the firing I dissolve soda ash into water and spray it into the kiln. The soda boils away into vapor and reacts with the silica in the clay to make a glaze on the surface of the pots. Because the soda vapor is carried through the kiln on the flame no two pieces ever look exactly the same. The dynamic flashing on the surface and iconic orange peel texture are all a product of the soda. Pottery has been a tactile interaction for me all of my life. Every dish that passed through my hands as a child was made by my father. Pottery was never the untouched piece on the top shelf of the china cabinet; it was the much loved mug that you dig for every morning because somehow the coffee just tastes better out of that one. I want my work to have that same immediacy of being handled or interacted with every day of someone’s life. When I love a piece of pottery, my first instinct is to pick it up, touch it, feel it, see how it fits in my hand, talk to it on the most intimate level, skin to skin. I can wish for nothing more than for my work to invite that same easy interaction.